I was, very recently, introduced to Goodmorning, Gorgeous. Instantly, I was amazed by how fantastic instrumentally and vocally they are. For not being signed, this band comes in hard and leaves with a bang! “Capstone” is a brilliant piece of work. From the first track to the last, you just want to break everything around you. It’s so incredibly heavy and melodic all-together that you just simply can’t turn it off. Since I received this EP it has been on repeat. Literally, everything on this EP mixes so well together. It’s as if they have been a band for over a decade. The amazing guitar riffs and solos, really heavy high and low screams, and the consistent powerful sound of the drum kit, it all feels so overwhelming but just to the extent to where you want to instantly run to a show and watch these guys play live. It’s very rare that I instantly fall in love with a band, but with them I truly didn’t have a choice. The first track “Filth” starts off slow and calming with some guitar then rapid drum rolls kick in and it just instantly gets heavy, it’s honestly such a smooth transition. Each song progresses in a different way which is why this album stands out. There is so much diversity and originality that’s hard to find in bands these days. My personal favorite off the EP is “In Us We Trust”. The song is just extremely powerful in meaning and comes in so strong. The end chant “Through all of the pain and all of the lies, I hope you know I took control of my life” really hits home and send a message that many can understand and truly feel. Honestly, I’m completely amazed by this EP and already can’t wait to hear more from these guys. If they are in your area, I truly advise you go check them out because they definitely deserve all the support they can get. 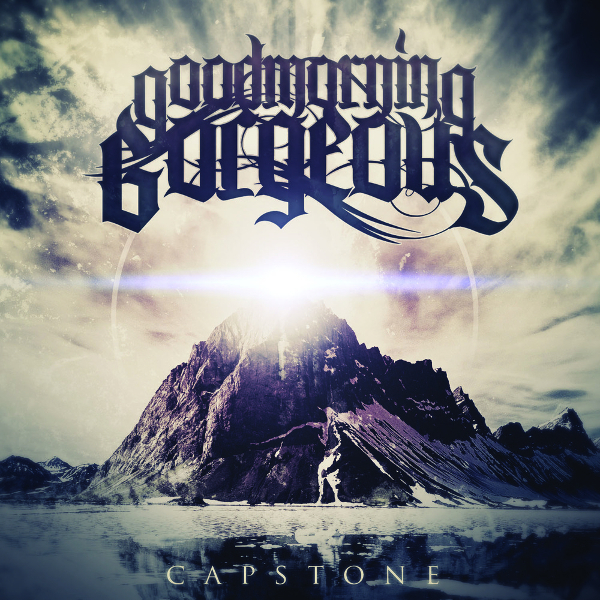 “Capstone” shouldn’t be the last we hear from Goodmorning, Gorgeous. I expect big things from this Texas based band!